Garage: "Attached, Front, Swing Drive"
Lot Size: n/a "Corner, Cul De Sac, Landscaped, Lrg. 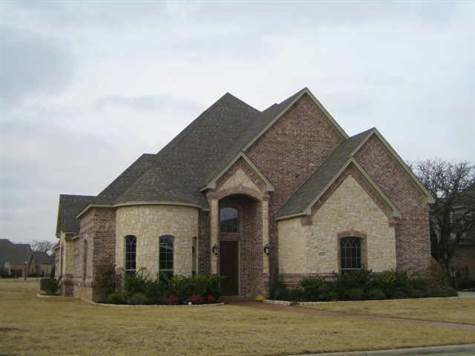 Backyard Grass, Subdivision"
Simply beautiful custom home. Elegant designs through out, hand scraped wood flooring in entry, study, family & formal dining. Abundant windows with good placement offer natural light in most every room. Other room is media upstairs just off 12x10 landing that directs traffic to gameroom & upstairs bedrooms. 2nd bedroom down & 5th bedroom up have their own full bathrooms. Spacious pool size lot too.